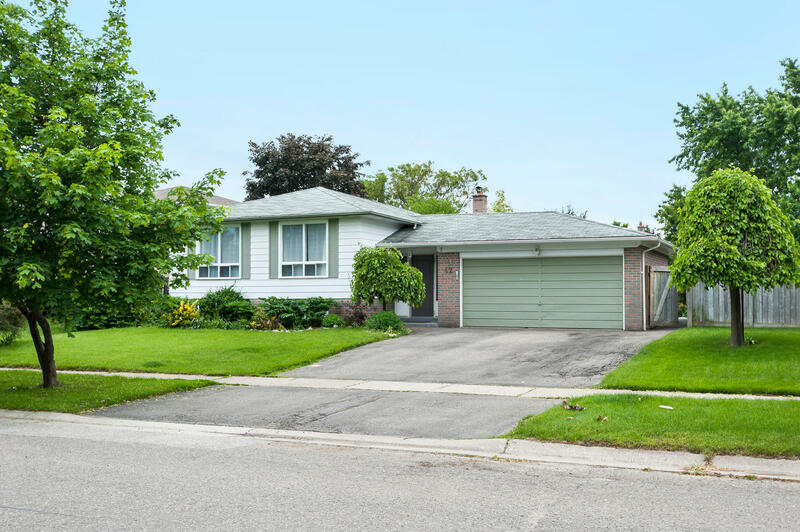 This 3+1 Bedroom raised bungalow is set on a quiet, desirable crescent. You’ll love the unique, open concept layout of the oversized principle rooms. Perfect for entertaining or just for everyday living. 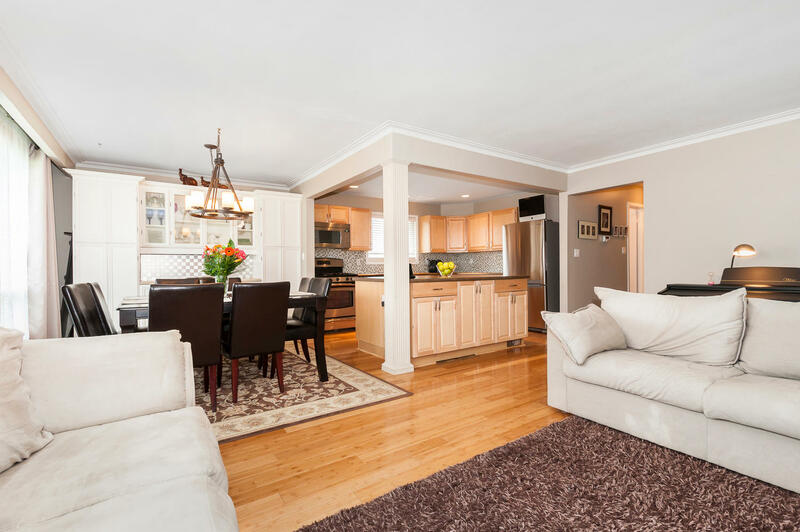 The beautifully renovated kitchen (2011) features glass mosaic backsplash, stainless steel appliances-including the gas range, and a massive centre Island- the hub of this home! Dining room has built-in cabinetry, including pantries and flows to the large living room. Both spaces have picture windows & shiny bamboo flooring, which runs throughout the entire main floor. 3 good sized bedrooms share the updated main bathroom with granite countertop & deep, relaxing soaker tub! Finished basement adds lots of extra living space. Features a rec room with laminate floors, newer drywall & a wood fireplace. Also includes a 4th bedroom (perfect for a teen), workshop & 2 pc bath! 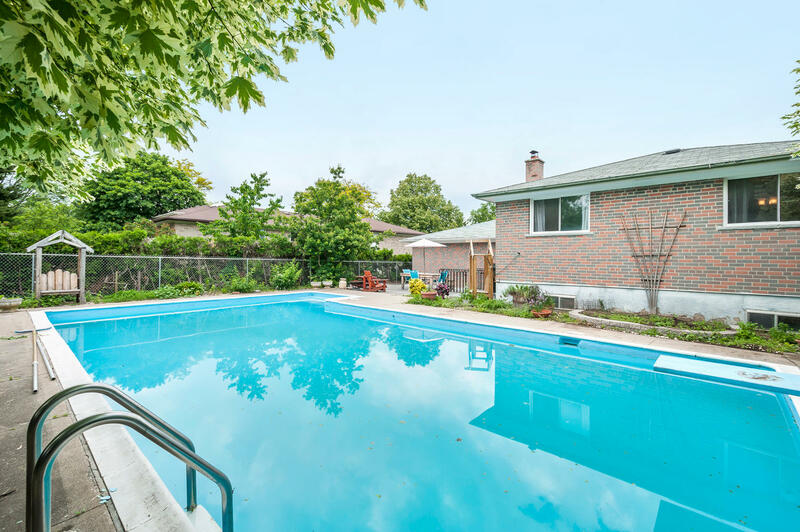 Gorgeous backyard is quite private and boasts a large in-ground swimming pool, patio, and a gas bbq hook up. The perfect spot to while away hot summer days! Great location- quiet neighbors, mature trees, walk to Centennial Middle School.